We aim to make Christmas a joyous time for Haiti's children. You can help us meet our goals by supporting our Haiti toy drive going between Oct. 11 and Nov. 11, 2010. Click here to learn more. A medical team organized by the Connecticut Haitian American Organization is on their way to Haiti. The group will be leaving from Bradley International Airport on March 8th at 6:20am and arrive in Port-au-Prince on AA Flight 1907 at 3:45pm. They are scheduled to return on the 13th. The team will consist of 16 persons. Click here to see Pictures from our medical Mision on Facebook. Click here to see more Pictures from our medical Mision on Facebook. Please see Volunteers for more information. Free counseling for Haitian Americans dealing with the loss of family members and friends. Welcome to our web site and thank you for your inquiries and concern for Haiti!! 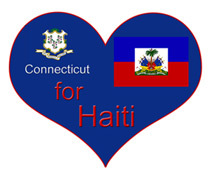 The Connecticut Haitian American Organization, Inc., a non-profit 501c3 organization, has established a committee to provide assistance to the people of Haiti who have been affected by the devastation of the powerful 7.0 magnitude earthquake that struck on Tuesday, January 12, 2010. 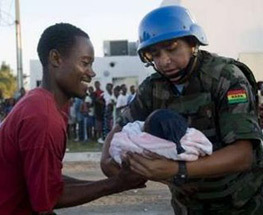 The damage was extensive and the latest estimates from the Haiti government are that more than 212,000 people perished and over 1 million people have been left homeless from this terrible catastrophe. The Connecticut Haitian American Organization, Inc. is working tirelessly with schools, religious institutions, and individuals in their effort to provide help to victims of the earthquake. They have formed committees to strategically ensure that children and women are on top of their agenda when donating supplies. Maryse Adonis just returned from the island of Haiti. On February 17, she updated the members of the CT Haitian American Organization, Inc. on her experience in Haiti right after the devastating earthquake. Mrs. Adonis is a licensed nurse and the Executive Director of Arm2Arm, Inc., a 501(c) (3) organization based out of Wethersfield, CT. She coordinates groups to work in Haiti and also advocates for the human rights of Haitians and Haitian descents living in the Dominican Republic. 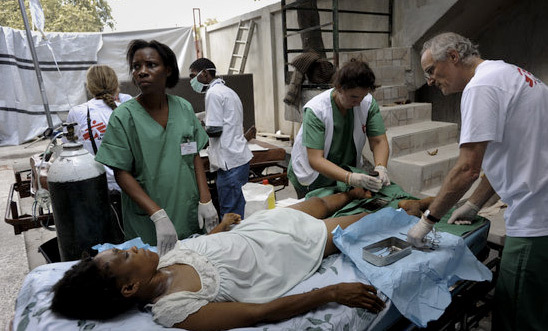 Mrs. Adonis will be returning to Haiti in order to continue providing direct care to victims of the earthquake. and that's before the earthquake hit. boiled up like a kettle to Rebel in broad day. What a way, what a day to cut ties astray. Chaos could receive a body cast. Pessimistic uncultivated ideas for Future years. How blatant is the state we're in? to know it wasn't a Pact with the devil. In fact, intact is how it was for few years. What the hell is here? ‘cause it seems Ruthless here. check it on your t.v. Paralysis analysis, consistence that's pure fallacy. crucial politricks, sickening, tinkering Reality. I ask for your Ear and Help to create a new feat. Your contribution now will help distribute life-saving relief supplies – including food, clean water, blankets, and tents -- to children and families devastated by the earthquake and aftershocks in Haiti. They are in desperate need of food, medicine, and other supplies - every moment counts! If you would like to support our humanitarian efforts in Haiti, our primary need is money and supplies. If you would like to donate, please click here for information.